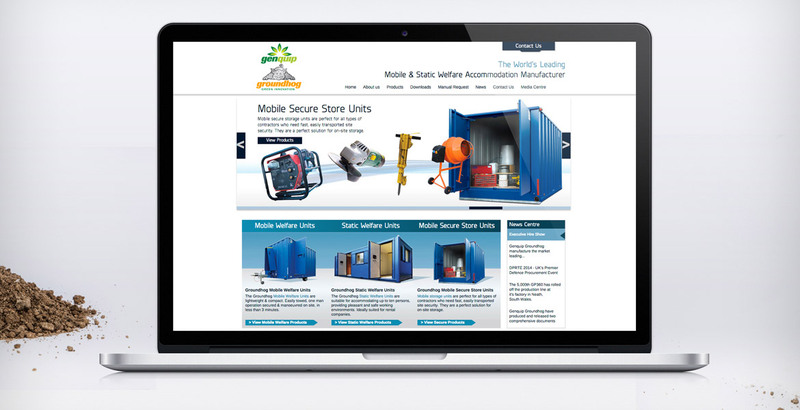 To create a bespoke product website tailored towards the rental and construction industries, incorporating a site that is easy to navigate and distinguish the differences between each product range. Genquip in partnership with the product manufacturer Groundhog are the UK's leading suppliers of Mobile and Static Welfare Accommodation units to the construction and rental industry. 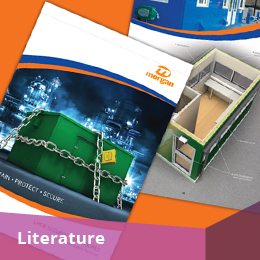 Famous for their product innovation, we had a big challenge to demonstrate the differences between the mobile and static product ranges highlighting key features, environmental benefits and specifications. It was important that the navigation was easy to use and that all relevant content for each product was contained within the specific product page, this was achieved by using tabbing pages. Visual information was also key, so we decided to show the interior through photography and 3D modelling, giving the viewer a good understanding the interior layout and the facilities on offer. Reaffirming Genquip & Groundhog commitment to quality and reliability, we produced a strong emphasis on advertising excellent customer service, value and reliability through online sales brochures, eAdverts and videos. With continuing support we update the website on a week to week basis, acting as the first port of call for everything from product updates, brochures, news and bulletins - Our no fuss, fast response approach fits in perfectly with a client who needs to get updates implemented quickly. Having great knowledge of the Groundhog product, we are constantly developing and implementing efficient ways of marketing the Welfare range online, delivering a greater return on investment. 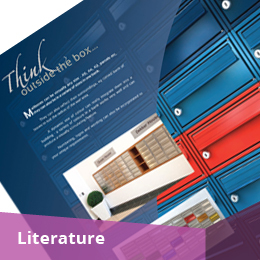 To design and produce a new company sales product brochure targeted at Architects, property developers and specifiers.